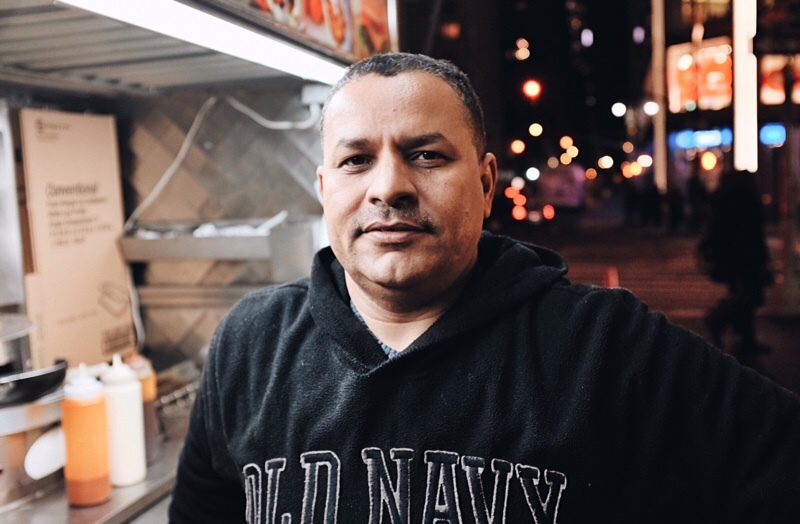 This guy is from Egypt and I totally forget his name but he has one of the best Middle Eastern food carts in the city. He always gives me extra lamb in my meal. Today he let me take his portrait.